University of Oklahoma Press, 9780806144078, 208pp. Known as an advocate for the endangered earth, Barry Lopez is one of America's preeminent writers on nature. 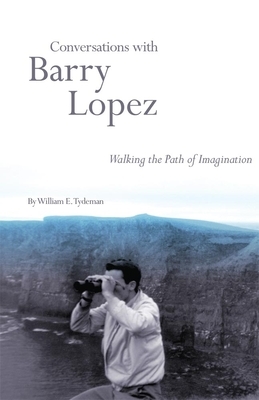 This invigorating book invites readers to sit down with Lopez and his friend William E. Tydeman to engage with their conversations about activism, the life of the mind, and all things literary. Even readers who think they know everything there is to know about Lopez will learn much from this richly informative book, both from Tydeman's concise biography of Lopez and from the dialogue about Lopez's ideas and experiences. The three interviews and Tydeman's reflections on other discussions with Lopez gathered here address nature, human beings' relationship to the land, the tension between political activism and the life of the intellectual, memory and reconciliation, the artist's social responsibility, and the business of authorship. "What is the nature of the relationship between the writer and the reader?" Lopez asks. It's "reciprocal, contractual, and moral." Lopez's thoughts on the importance of authenticity will resonate with every reader or writer, as will his deep commitment to story in all his work. He and Tydeman engage in illuminating exchanges on style and genre, the publication process, and relationships among authors, editors, and publishers. Both men are interested in photography and its relationship to writing, a subject on which they offer thought-provoking comments. A comprehensive annotated bibliography of Lopez's writings by archivist Diane Warner rounds out the volume.